Wellness Brand REVOLISM is "Doing Good, By Doing Well"
If, as they say, innovation is the intersection of great ideas, the science-backed brand, REVOLISM, is set to make a life-changing mark in the $1 trillion global wellness industry. 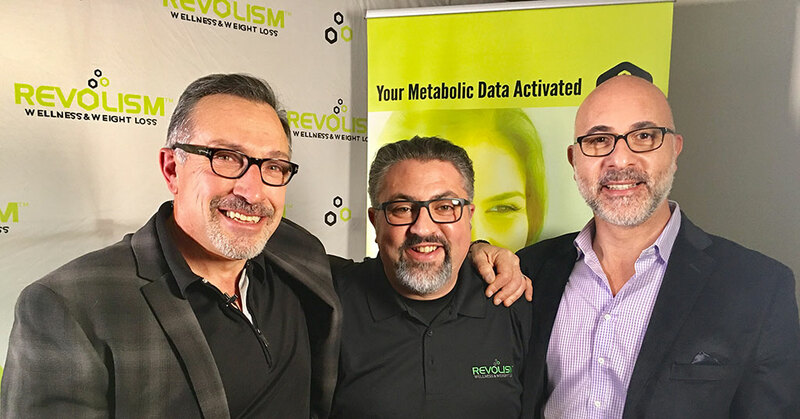 REVOLISM, revving up to expand nationwide, is the exclusive franchisor of Metabolic Code, a proprietary wellness assessment protocol with decades of clinical success, previously only available through healthcare practitioners. The emerging customer-focused brand bridges the gap between science and technology to deliver a comprehensive state-of-the-art health, wellness, and weight loss solution that is the perfect franchise fit. Franchise veteran and REVOLISM founder David Ramadan has created an “ingenious,” results-driven system with an accessible, whole health approach to wellness that makes it easy for anyone to adopt and succeed, says Bassel Haidar, president of Metabolic Code, which uses a cloud-based technology, with a data and decision engine that measures and scores the vital signs of wellness to address core health challenges that individuals are struggling with every day like stress, sleep, weight, digestion, energy, and focus. The power of REVOLISM is in a delivery that is both high-tech and high-touch. Franchisees are certified as wellness coaches at George Washington University, rigorously trained by some of the most well-known integrative healthcare practitioners in the country. Once certified, wellness coaches work directly with clients wherever they choose—at home, work, or on the go. Coaches provide an initial consultation and ongoing support to help their clients stay motivated and on track based on the findings of their personalized metabolic report. The program features an app to keep people on track with their nutrition and exercise plan, as well as the ability to connect with their coaches using secure messaging for additional help and support. In addition to the personal coaching, nutrition, and exercise components of the REVOLISM program is the strategic use of personalized nutritional supplements. These recommended supplements, based on their individualized findings through the wellness report, address any nutritional deficiencies that are keeping people from feeling the best they can, Haidar says. The supplements, created exclusively for REVOLISM, arrive automatically each month, generating recurring revenue for the wellness coach. For franchisees, REVOLISM is a winning investment with unlimited promise, notes Haidar, an entrepreneur, technologist, wellness coach, and adjunct professor at GW. With ever-rising diabetes rates and an estimated two-thirds of the population considered to be overweight or obese, REVOLISM is a life-changing solution for anyone who wants to live well and lose weight. REVOLISM franchise ownership is right for anyone who is interested in health and wellness, connects easily with people, and wants to make a big change in the world, says Haidar. The brand offers a flexible and versatile franchise structure with a virtual franchise starting at a $2,500 franchise fee to brick-and-mortar locations that begin with an initial franchise fee of $10,000. Total franchise investments range from $10,000 to $67,500.